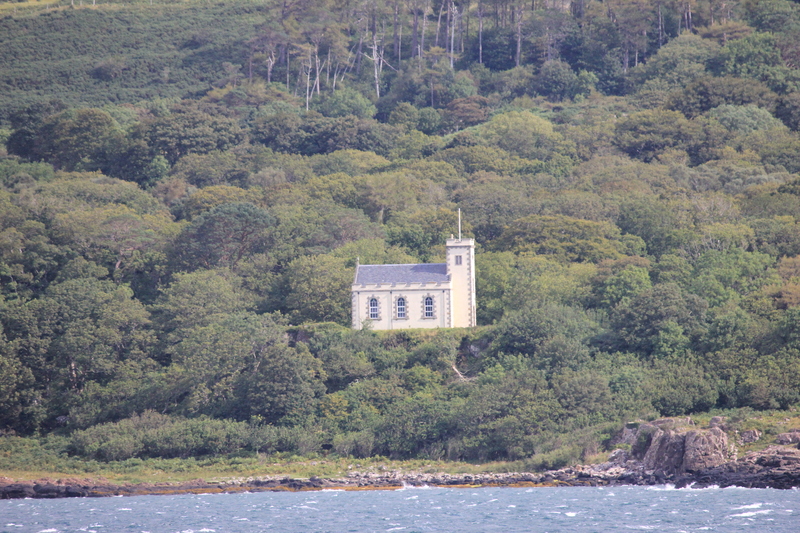 Opposite Tobermory is this lovely church, not much I can find about it but I would think it has some stories to tell. We arrived off Tobermory at mid day, passing this lighthouse on the approach. Tobermory looked a good place for a stop but the mooring field was full and the yacht expected to depart didn’t, so we did.